JEFFERSON CITY - Legislators across Missouri are taking action to combat drug addiction and related illnesses this session, despite the unfinished business that remains over Missouri's prescription drug monitoring program (PDMP). When Gov. Eric Greitens signed an executive order creating a statewide prescription drug monitoring database in 2017, he met mixed reactions from both political parties. Some praised him for taking a needed step to combat prescription drug abuse, which is heavily associated with the opioid epidemic. Others complained it was incomplete step, because it does not give doctors or pharmacists access to the database. Regardless, many are still fighting to make it harder to legally purchase more potentially addictive pain-killers, like hydrocodone, than a person needs. Sen. David Sater (R-Barry County), a retired-pharmacist, is trying to do it in multiple ways, because he said no prescription drug monitoring database is enough to end the crisis. "With this particular epidemic that we have - and it is an epidemic - it's going to take several different things to help cure itm," Sater said. "There's no silver bullet." Sater is trying to limit the potential supply of opioids with Senate Bill 825, which would cap prescriptions for those dealing with non-chronic pains to a 7-day supply. 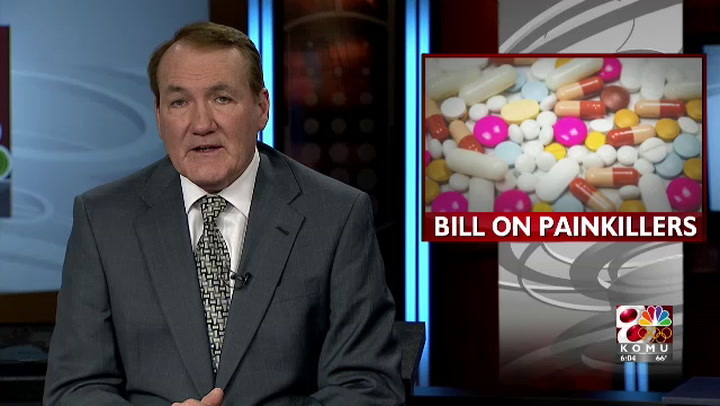 Some insurance companies already mandate prescription caps in certain cases. Bill Morrissey, head pharmacist at Kilgore's Medical Pharmacy, said it has been helpful, but it is unclear what the measurable effects have been. "We have kind of a test run of that; in most instances that's okay," Morrissey said. "The emergency room or urgent care visit, where it is going to be short-term treatment, a week a lot of times is all anyone really wants." Morrissey said he would support efforts to cap prescriptions, with the hope being it would stop physicians from over-prescribing or people from acquiring more than necessary. But he said that won't fix everything, either. "It's a big topic; it's a big problem," Morrissey said. "Ultimately, we're depending on people to do the right thing." SB 825 faced no opposition in the Seniors, Families and Children committee, which Sater chairs. It was voted out of committee on February 7, and is one of several ideas the senator has for combating the issue. Sater has also proposed a bill that would create pharmacy-based kiosks for people to return prescription drugs they don't use. However, he said he cannot accomplish his goals alone. "On this bill, I know have support from leadership," Sater said. "With legislation this important, it takes a group effort."